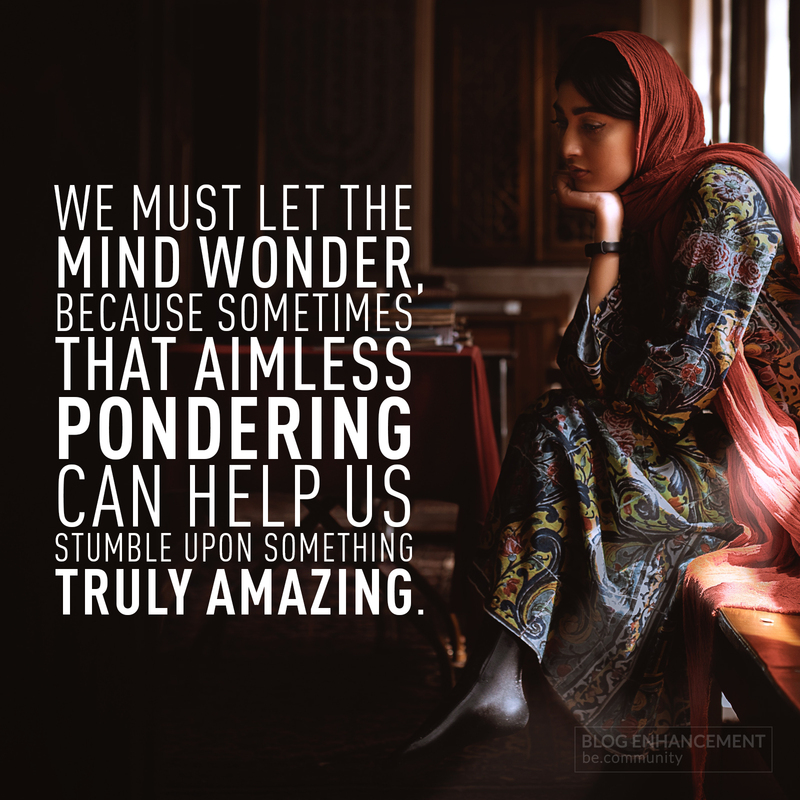 So many of my ideas came when I let my mind wonder aimlessly… when I daydreamed, or lacked focus. It’s incredible to think that our minds are never always conscious, or in control, and so we cannot force ourselves to constantly be on top of everything. Going with the flow and allowing for our minds to stumble around is the best way to find ourselves. As ironic as it may sound.